This online shop is part of the niceshops group. The niceshops group is an Austrian company that specialises in the development of online shops in various product segments represented in several European markets. Each month, nearly one million people visit our online stores, and as a result, 25 000 orders are generated on a monthly basis. The packages are assembled in our logistics centre in the south-east of Austria and are dispatched across the globe. a finely sized offering from the respective area. AND: a number of regular customers, who, due to their feedback, has been part of forming the structure of our various online shops. The central pillars of our philosophy are sustainability and environmental protection. Wood: the naturally renewable raw material played an essential role in the construction process. A total of 680 m³ of wood was used throughout the building. Every m³ of wood stores one ton of CO2, resulting in binding a total of 680 tons of CO2. Insulation: the padding process also played a vital factor in regard to saving energy. The insulation value of the roof is approximately 0.18 W/m2K and the insulation within the walls amounts to a thickness of 16 cm. Heating and cooling: A biogas plant, that also has a biomass furnace, is located approximately one kilometre away from our logistics centre and is used for heating our new logistics centre. Biodegradable filling materials used for our packages. We only have one planet, therefore, sustainability and environmental protection form the central pillars of our company's philosophy, and our team strives to preserve its beauty and diversity. At Ecco Verde, you will find a wide variety of natural and organic cosmetic products manufactured internationally. From hand creams, shampoos and body care products to a vast array of skin-friendly, mineral makeup. At Ecco Verde, you are sure to find what your heart desires! VitalAbo offers a variety of assorted dietary supplements specially formulated for health, sport and wellness produced by well-known manufacturers - at reasonable prices, including delivery! EquusVitalis offers a wide range of feed, mineral substances, specialities as well as care products for horses. Well-known brands found in our online shop such as St. Hippolyt, Eggersmann, Stiefel, Nösenberger, Lexa and Gladiator Plus are market leaders in their fields, including our very own, high-quality brand, EquusVitalis. GENUSS REGION ÖSTERREICH is a protected brand that is part of the Agricultural Market Austria Marketing GmbH and the Agricultural Ministry. It puts the regional agricultural products and specialities out in the open for consumers to enjoy. Austria's strength is its distinctive cultural landscapes and culinary specialities. Traditional and regional food does not only mean enjoyment but also depicts the Austria identity and belonging. Enchant your garden or balcony with the wide variety of products offered by Bloomling. Choose from a wide selection of plant species, by placing an order from the comfort of your home and have it delivered straight to your doorstep. 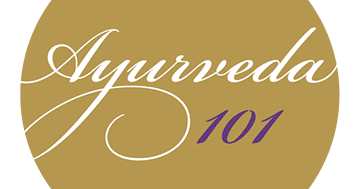 Ayurveda101 offers selected Ayurvedic food, food supplements, personal care items, massage and wellness accessories. We put great care into offering only the best, high-quality, natural and organic products in our assortment. All the products on offer are free from chemical additives and synthetic flavouring. We deliver traditional attire worldwide. We have concentrated on international shipping to ensure that yodelling takes place in even the most remote corners of the globe. 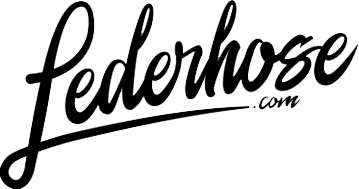 At Lederhose.com you will find the trendiest traditional attire and accessories as well as unusual ideas that are difficult to find elsewhere. Unique, natural water with extraordinary properties. Aquatadeus is a well-known medicinal water from Styria (Austria), pure and free from any additional substances. More than 40 000 products for biking professionals or those aspiring to be. The best brands and products can be found at our BikeOnlineShop. The online shop for high-quality home decor. Here you will find everything your heart desires for your home interior decorating needs. Well-known manufacturers that produce individual home decor. Everything you need for your swimming pool is just a few clicks away. Great swimming pools for your home and more. Free delivery from 400 Euro.